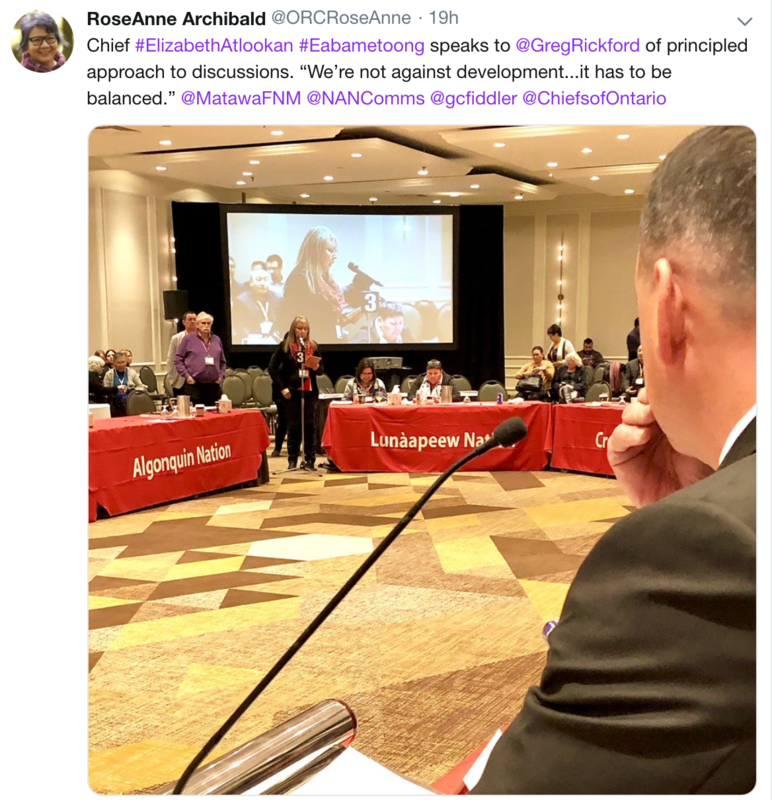 Chief Atlookan delivering a strong message to Minister Rickford on the principled approach that must be the way forward on any major projects in EFN territory and shared interests throughout the Matawa homelands: an informed and balanced joint decision-making process. Without that, there is no way to respect the rights of the community members, and the diversity of our interests and expectations for the future. EFN was forced to take MNDM and Landore to court because there was no respect for the rights of EFN members who voiced concerns regarding that exploration project, and won the case because it was shown that Ontario did not act honourably.